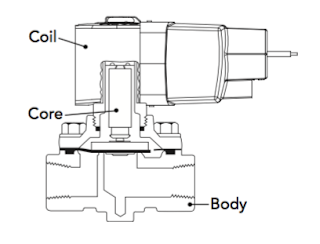 A solenoid is an electric output device that converts electrical energy into a linear mechanical force. 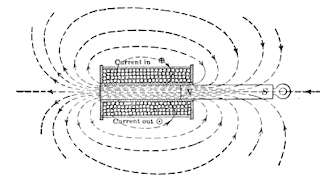 At its most basic level a solenoid is an electromagnetic coil that uses magnetism produced by the flow of current to physically move the armature of a solenoid. The armature that is movable can be a rod or a metallic arm. One of the most common uses of solenoids are as the operators of valves. 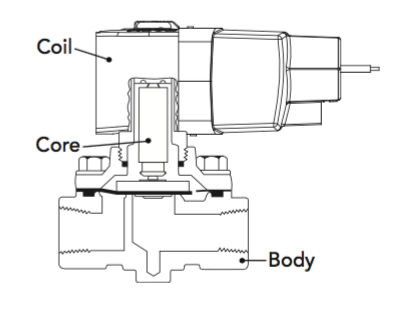 A plunger solenoid contains a movable iron rod that is inserted into a coiled cylinder. The rod is connected to a plate with two contacts. With the aid of a spring the contacts are normally open. 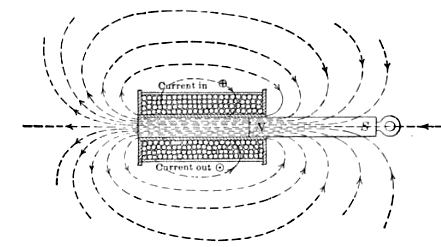 When an electrical current passes through the coil, it generates a magnetic field that attracts the rod into the coil chamber. The movement of rod will move the contacts into a closed position. When the current is turned off the magnetic force is removed and the tension in the spring forces the rod back out to its original resting position. This back-and-forth motion of the rod to control a circuit is used to operate a variety of mechanical devices such as valve seats and pneumatic poppets. A valve body containing one or more orifices. 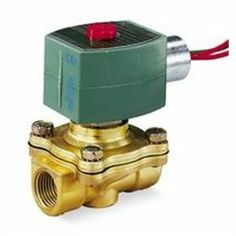 Flow through an orifice is controlled by the movement of the core when the solenoid is energized or de-energized. The core is enclosed in a sealed tube, providing a compact, leak tight assembly. This video provides a very basic visual understanding of the solenoid operating principle and how the mechanism works. From this video it is easy to understand how the linear movement created by the solenoid can be transformed into the movement necessary to open and close solenoid valves.